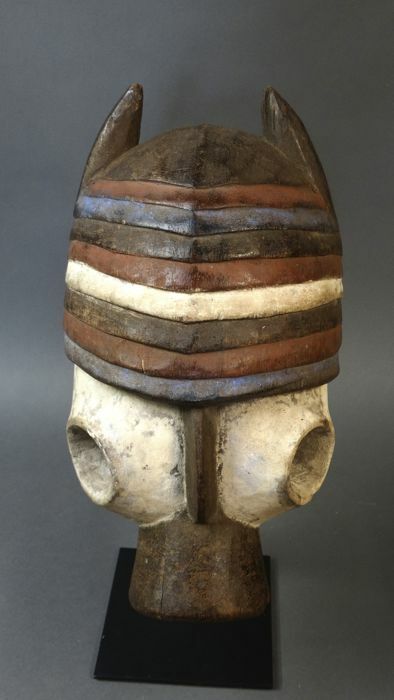 Beautiful mask of the MUMUYE tribe from Nigeria in the shape of an armadillo. 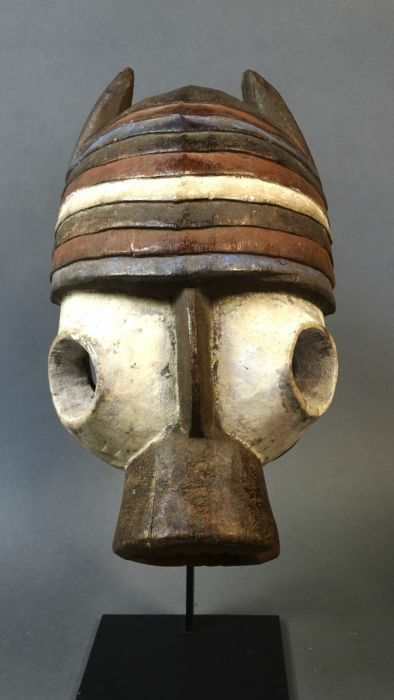 A very nice example of expressionist abstraction that characterizes the art of Mumuye. 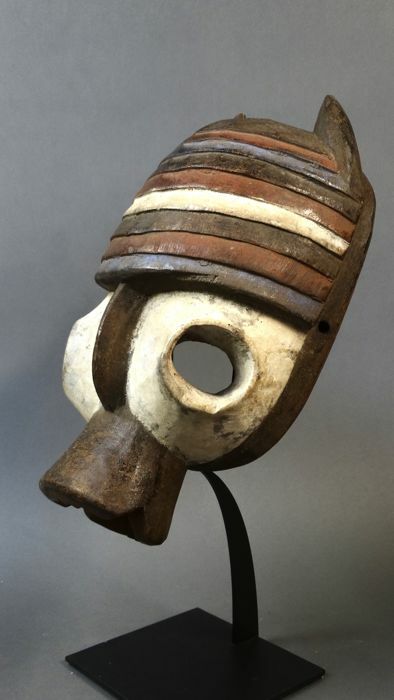 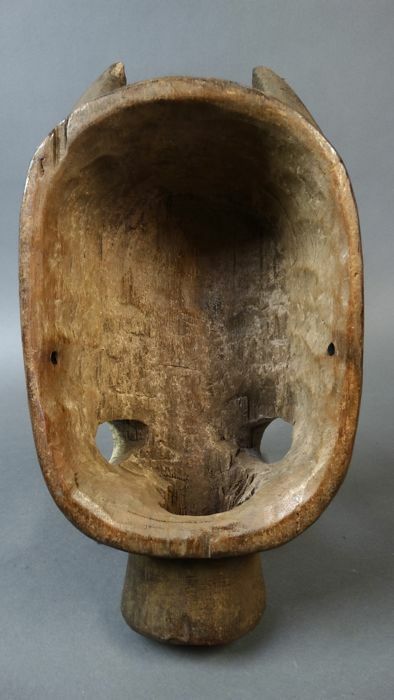 These masks were used in the initiation process of boys. 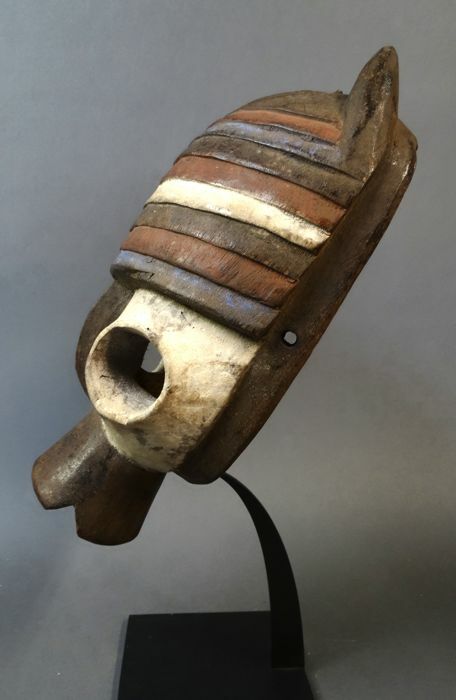 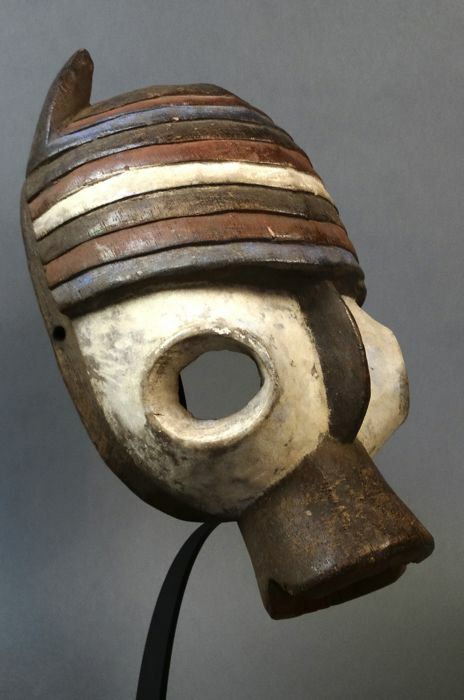 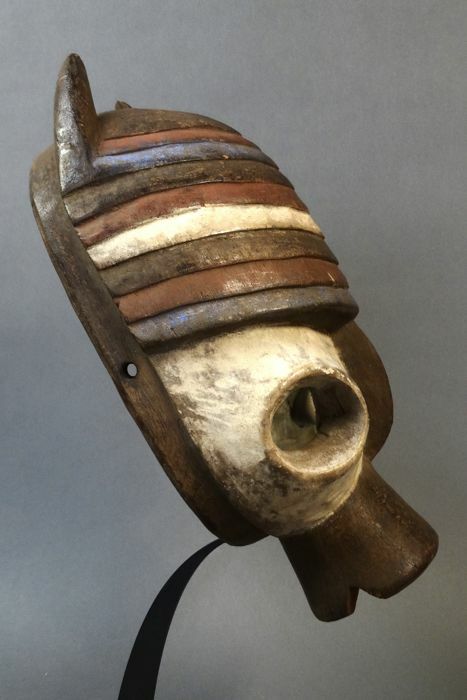 The mask is made of wood and has a red / brown / blue and white patina. 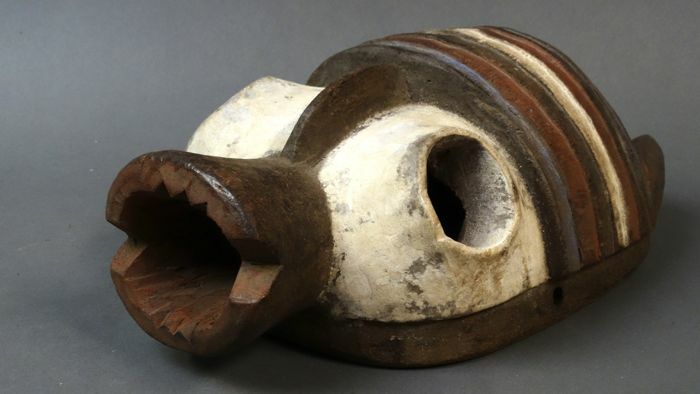 The Mumuye from Nigeria lived in isolation until 1959 because their habitat was inaccessible through rocky hills and savannas.